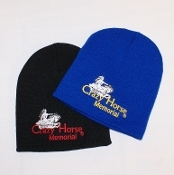 Keep your ears warm with our quality embroidered Crazy Horse Memorial knit hat. 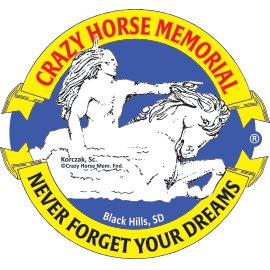 Available in royal blue with yellow lettering or black with red lettering. 100% acrylic. One size fits all. Made in the U.S.A.